Get the space and comfort everyone craves while on vacation at this spacious 8 bedroom home on the popular Champions Gate Resort, just minutes from all of the theme parks and attractions of Orlando! 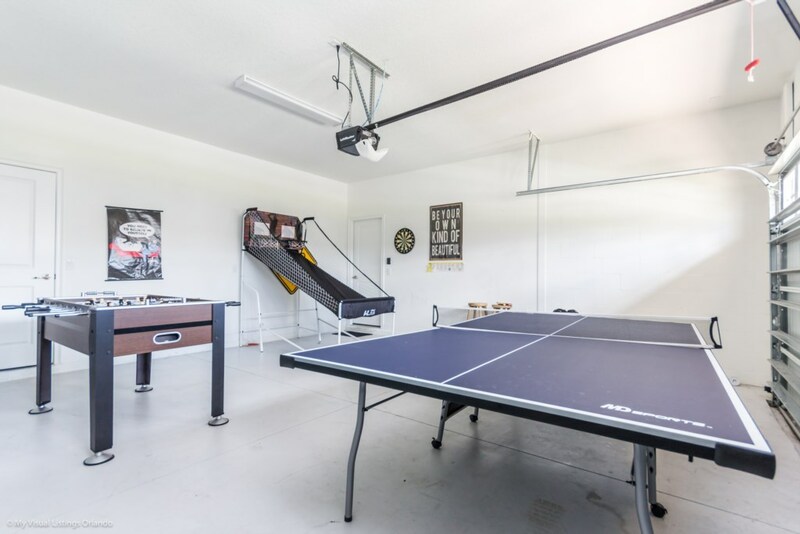 Offering more than space, this home boasts luxury amenities and decor, a games room, movie theater, private enclosed pool with raised spa pool,a chef's dream kitchen and so much more! Your family will enjoy the privacy of their own space, fun gathering places and a place to truly kick off their shoes and feel at home on this vacation getaway. Cramped hotels are a thing of the past when you chose to stay at Fairway of Dreams vacation home at Champions Gate Resort!